Molecule Mattress Review - Designed for Recovery, does it work? This mattress is another of the bed-in-a-box variety that is gaining more popularity with every single passing day. Additionally, this mattress is specially designed primarily with athletes in mind, but even so it’s an excellent choice for anyone who wants supreme levels of comfort and support as well as fabulous temperature regulation. In order to better help you determine whether or not the Molecule mattress is a good choice when it comes to your own needs, we’ve put together this article reviewing the most important aspects of this mattress. Today, we will be discussing the Queen Mattress specifically, but you can rest assured that you will get virtually the same Real Sleep mattress experience discussed here even if you select an alternate size, so the information we will share here is still relevant when deciding whether or not this mattress brand is the right choice for you. 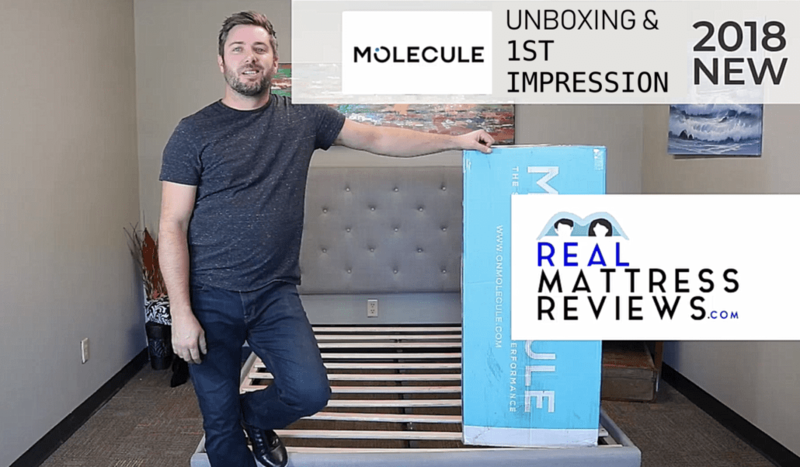 Like most memory foam mattresses that are available online, the Molecule mattress will arrive compressed, vacuum-sealed in plastic, and packaged within a cardboard box. The box can be slightly awkward to carry and maneuver without help, so if you need to carry it upstairs or down a long hallway to reach your bedroom, we advise getting a friend or family member to assist you. In any case, once you’ve brought the box into your bedroom, all you need to do is open it up, pull out your compressed mattress, and cut ti loose from the plastic it is sealed in (when doing this, be careful not to cut the mattress itself, since this will damage the integrity of the foam). Once it’s removed from the plastic, the mattress may need some time to fully expand into its full size and shape but then it will be ready to sleep on. Additionally, there may also be some slight off-gassing. And while this odor is not harmful to you (and is largely a by-product of the vacuum-sealing more than anything), the smell can still bother some people so it’s advisable to wait for your new mattress to air out before using it. Like memory foam. If you’re someone who enjoy the plush comfort that body-contouring memory foam can provide, then this mattress is probably a good fit for you. Additionally, the memory foams used in this mattress are all of the highest quality possible and specially designed to provide not just comfort but also support and pressure relief. Want a mattress with excellent temperature regulation. This specially designed mattress is truly fabulous when it come to temperature regulation and heat dissipation. Everything from the three different foams layers to the mattress cover are designed to help improve the breathability of the mattress and enable better air flow (which in turn helps with heat dissipation). Want a mattress that is good for any sleeping position or body type. Because this mattress is specially designed with both comfort and support in mind, it’s a great choice if you want something that will offer you both regardless of your body type or preferred sleeping position. Are a heavyset person. It’s a particularly good choice if you’re more heavyset, because (unlike other memory foam mattresses that retain body heat and moisture) the special design of this mattress will keep even the most heavyset person cool and comfortable when resting. Want a mattress that is available in a variety of different sizes. 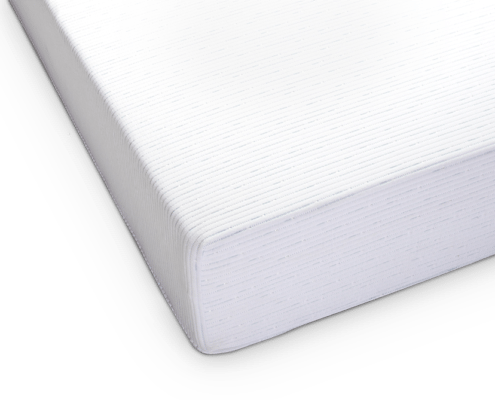 Unlike other brands of memory foam mattresses which offer only the most common sizes, the Molecule Mattress is available in Twin, Twin XL, Full, Queen, King, and California King sizes; this allows you to purchase the right size for your needs. Want a cheap mattress. While this mattress is of incredibly high quality and undoubtedly worth every penny for the many great qualities it has, it’s not a good choice if you’re on a tight budget. Retailing at over a thousand dollars, this mattress is considerably more expensive than most other bed-in-a-box mattresses currently on the market today. Want strong edge support. 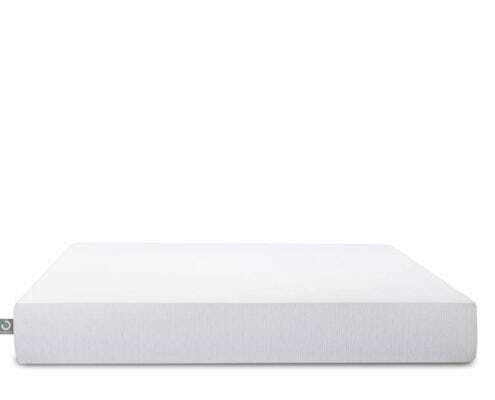 Like most all-foam mattress, the Molecule mattress doesn’t offer the best edge support (particularly when compared to innerspring and hybrid mattresses). Therefore, if you’re someone who likes to sleep right on the edge of the bed (or sit on the edge of the bed) this probably isn’t the right mattress for you. Do not like memory foam. Because this mattress is made entirely out of different types of memory foam materials, it’s probably not a good fit for you if you don’t typically enjoy the feel of memory foam. A traditional innerspring mattress or hybrid option (which combines springs and memory foam) might be a better choice. In regards to firmness, most customers report that on a traditional firmness scale of one to ten (with one being the softest and ten being the firmest) the Molecule mattress rates at about 6 or 6.5, making it just slightly above medium-firm. Additionally, this mattress was designed to be comfortable for people of all shapes and sizes as well as for use with any sleep position; therefore, whether you sleep on your back, on your side, or on your stomach, the Molecule mattress should be able to provide you with the support, comfort, and pressure relief that you need for a deep and restful night’s sleep. Ultimately, this mattress offers a plush top for comfort while also providing the firmness needed for great support. Furthermore, this mattress is designed for heightened breathability in order to promote better temperature regulation (which we will discuss further in the appropriate section of this article). Like all mattresses constructed out of memory foam, the Molecule mattress is an excellent choice if you want something that is good for reducing motion transference (the phenomena where movement in one portion of the mattress causes vibrations that spread throughout the rest of the mattress, potentially disturbing your sleeping partner if you share your bed). Not only is the top layer incredibly plush and good at absorbing vibrations, but the special design of the middle transition layer and the durable foundation layer also help to increase motion reduction. All in all, the Molecule mattress offers great motion transference reduction. Like most bed-in-a-box mattresses that are compressed and vacuum-sealed for the shipping process, there will be a slight “new mattress” odor when you first unpack it. There is no need to be concerned, however; this smell, while strange, is entirely normal and a completely ordinary by-product of the sealing and packaging process. That being said, if you are sensitive to strange smells you should give you mattress about twenty-four hours to air out after you first unpack it (this will also give ti plenty of time to expand to its full size and proper shape). Because this mattress is constructed entirely out of different memory foams, it doesn’t offer great levels of memory support; the edges are fairly easily compressed (something that is helped by the open cell design which is intended to help promote greater air flow and heat dissipation throughout the mattress) so it’s not a good idea to sleep right on the edge of the bed or sit on the edge for extended periods of time (because doing so will break down the bed). The first thing to discus when it comes to the construction of this mattress is the cover. It is specially designed to wick away moisture as well as help dissipate heat, which can help you sleep cooler and mroe comfortably at night, even if you’re someone who tends to sweat a lot or overheat. Additionally, this cover also has anti-microbial properties thanks to the Microban treatment it has undergone, so you can rest assured that your mattress will remain fresh and clean. Moving on, the top layer of this revolutionary mattress is three inches thick and made out of a material known as MolecularFlo. 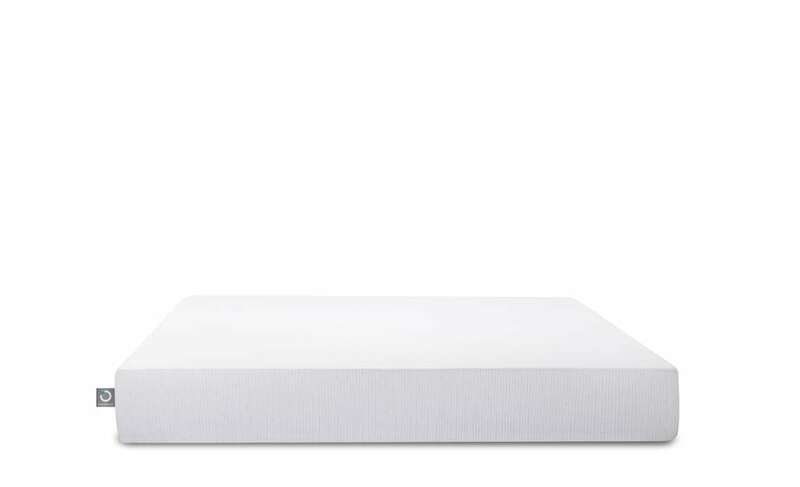 This specially designed memory foam features an extreme open-cell structure that promotes heightened air flow and breathability; this more breathable design helps to keep the mattress (and by extension, you) cool during the night even when the foam is compressed from your body weight. 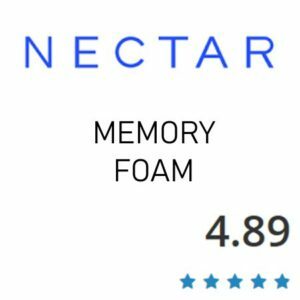 Furthermore, this layer is also very supportive; according to the official product information, this layer can give you “cozy support with more than seven times the airflow of traditional memory foam”. 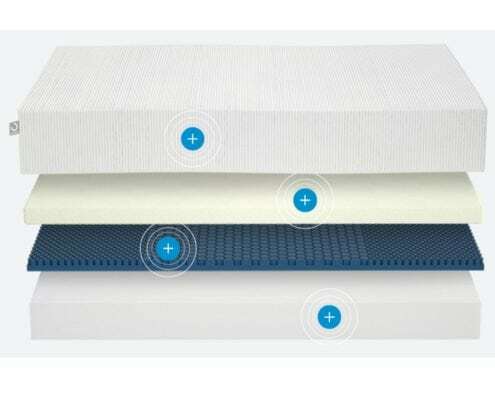 The second layer, meanwhile, is two inches thick and constructed out of another proprietary memory foam blend that is unique to the Molecule brand; this one is known as RecoveryFlo and was engineered with ergonomics in mind. This RecoveryFlo foam functions as a transition layer and its special design (which features unique hexagonal perforations) allow the mattress to adapt and conform to your individual body shape, ensuring that you have body-contouring comfort as well as supreme levels of pressure relief and support. 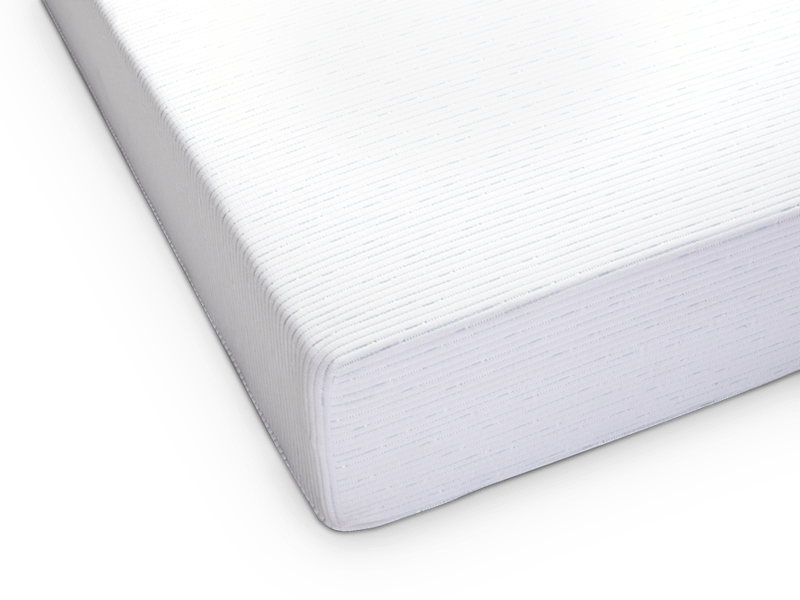 The third and final layer of the Molecule mattress is seven inches thick and serves as the sturdy base layer. This thicker foundation layer helps to provide tremendous levels of support (particularly in regards to spinal alignment). 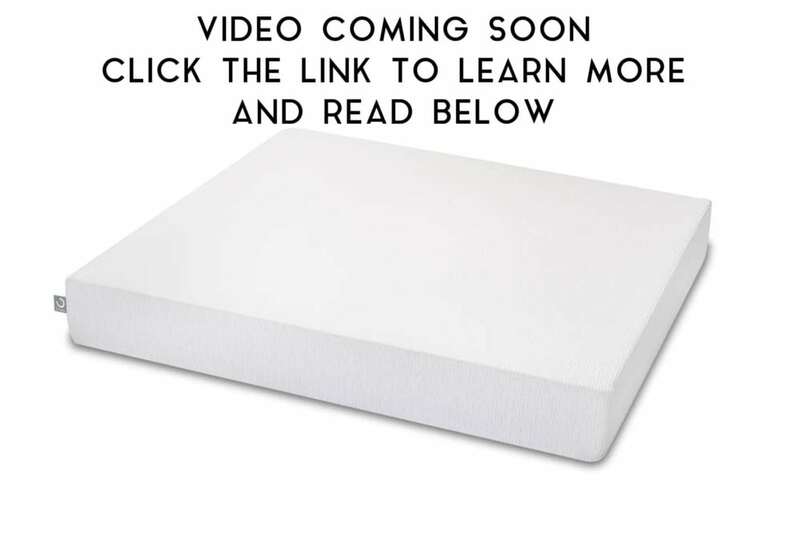 Furthermore, this layer is constructed out of a foam material known as ContourFlo, which also promotes even better air flow and breathability (which further helps the already great heat dissipation and temperature regulation of the Molecule mattress as a whole). All in all, this mattress is notable for using the highest quality memory foam materials (all of which are also CertiPUR-US certified, so you can be sure that they contain no harmful chemicals) in order to offer you a carefully designed mattress that can provide not just body-contouring comfort and support, but also great pressure relief and temperature regulation as well. The Molecule will work great on any solid surface. The floor, platform slats, boxspring/foundation and they now offer an adjustable base as well. The Molecule mattress is perhaps one of the best bed-in-a-box mattresses currently on the market when it comes to temperature regulation and heat dissipation. This mattress features a wide variety of features that help to promote better heat regulation (and thereby, greater comfort). The various memory foam materials used in the construction of the mattress are all specially designed to promote great air flow and breathability in the mattress, allowing for better heat dissipation (basically, instead of absorbing and retaining your body heat while you rest, the design of the mattress allows it to release the heat instead, preventing you from becoming overheated and uncomfortable). 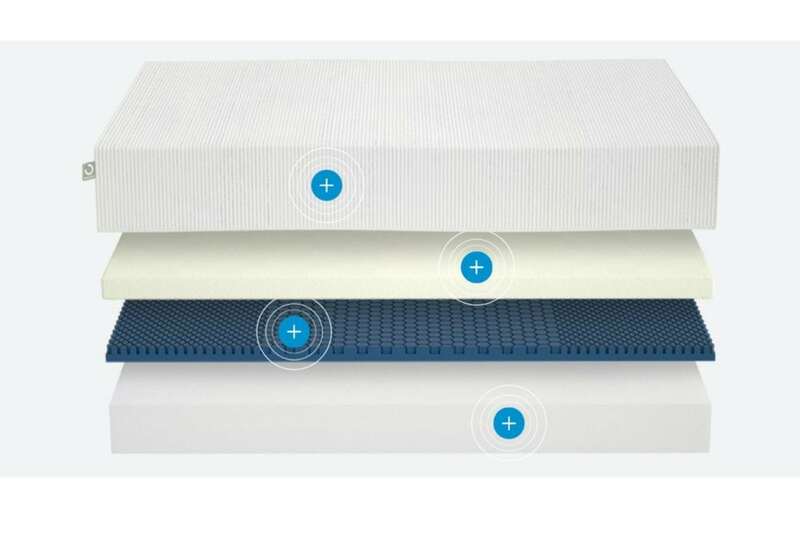 The top layer in particular is revolutionary for its open cell design, which allows greater airflow; the middle transition layer also features a special design (in this case hexagonal perforations) that also allows greater air flow through the mattress. Additionally, even the cover is designed to help you sleep cooler and more comfortably; designed to wick away both heat and moisture, this cover can help you stay dry and cool while you rest, even if you are prone to sweating or overheating during the night. All in all, if your goal is to find the best memory foam mattress for temperature regulation, the Molecule mattress is a very good choice. Being an all foam mattress this will work great on an adjustable base. We understand that the feedback of other customers is important when it comes to making a well-informed decision about a large purchase. With that in mind, we’ve collected here for you some of the more helpful and informative reviews for the Molecule mattress. 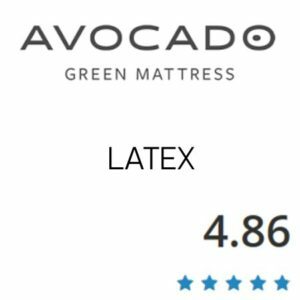 We hope you find them useful for deciding whether or not this mattress is the right choice for your own sleep needs. “This bed has changed my life! I used to wake up almost every few hours when sleeping on my old mattress, but now I never want to get up. This mattress keeps me cool and comfortable all night. So happy I made the switch!” -Britain B. “Sleeping on this mattress seems to really aid in recovery from a hard training session on the bike. My legs and body feel truly rested the next day.” – Robert. “I’ve had to air out other foam mattresses I’ve bought, this one was ready right away, though. It’s a great consistency – not too soft, not too firm – and is giving me a good amount of support.” – Tim H.
“I was sceptical. For 40 years I’d slept on a traditional mattress. While I thought I was sleeping well, I’d wake several times each night needing to re-position my self. All that has stopped, and my wife and I are in love with our new mattress.” – Robert L.
“I had never bought a mattress from an online company before. I’m old school and was nervous about buying a bed before trying it out in the store, but my friends convinced me to give a bed in a box a try. 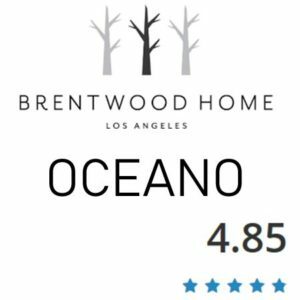 I’m really happy I did, I’m really pleased so far.” – Tami D.
“I had a really rough time going through all of the online mattress companies out there, tried a couple others, wasn’t super pleased and returned them, but customer service at Molecule was really great and explained to me the differences, and they were totally right.” – Sean. “Seriously cooler than my last mattress. The difference was noticeable right off the bat! Honestly, I don’t think I will ever go back to a traditional spring mattress now that I’ve slept on this one for a couple weeks.” – Paula. “The mattress is not too firm and the perfect amount of soft. It feels like I am sleeping on a cloud all night. I hardly wake up during the night anymore and I wake up with a lot less pain in my back.” – Stan. “I’ve never experienced comfort like this. The mattress stays so cool and I am not sweating all night. I should have been sleeping on this years ago.” -Alice. “The mattress shipped and delivered in the time-frame they said it would. When I unboxed it it expanded quickly and didn’t really have a scent at all. Make sure you do this on your bed-frame because it is heavy. After sleeping on it a few nights I realized it really did help me stay at the right temperature to sleep. Might give the sheets a try. For now, I recommend this mattress to anyone looking.” – Mike. Best Price with our link! This mattress comes with a trial period of one hundred nights; at just over three months, this trial period should allow you plenty of time to both adapt to using anew mattress and decide whether or not the Molecule mattress works well for you. Additionally, it also comes with a lifetime warranty, which is considerably more than many other bed-in-a-box brands offer for their mattresses. With a warranty like this, you can rest assured that the company is willing to stand behind their product and make sure that you are satisfied.